New Products Hitting the Market this Fall! School fundraising has become a necessary evil as all Teachers and/even Coaches have to endure this year over year. Trust us we know your pain as we were founded by an educator who realized you can’t run away from fundraising. More and more groups are fundraising each year, so it’s important to have the right variety of products to spark your community’s interest year after year. Partner with someone who knows how to raise the funds YOU need and someone you can depend on each year. Chocolate Sea Salt has been a popular product offering for us so we have added not one but two new delicious items! We’ll be adding Chocolate Sea Salt Caramel Peanuts and Chocolate Sea Salt Caramel Raisins to our chocolate sea salt selection. Speaking of hot products, you’ll definitely want to try our new Chocolate Chipotle Almonds that is a mix of sweet and spicy. Coconut has been a proven winner as well as very popular with our customers. This fall we will be adding Coconut Almond Clusters to our coconut family! Make it yourself with our new products hitting not one but two of our brochures! Are you someone looking to learn how to crochet? Perfect! Look for our Scarf Crochet Book to create your own infinity scarf. 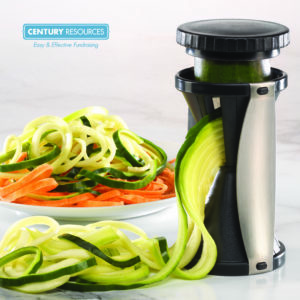 We will also be adding a Hand-Held spiral slicer to craft perfect spiral noodles of your favorite veggie as well as the Spiralized cookbook that features over 75 quick and healthy recipes with zucchini, squash, cucumbers, and other firm produce. After you enjoy your healthy handmade meal, create a masterpiece while relaxing with our adult coloring books! 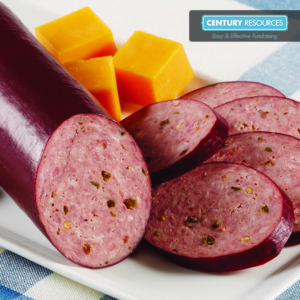 A spin on one of our most popular snacks, try our new, Spicy Jalapeno Cheddar Venison Sticks! Perfect for afternoon snacks or even great as an appetizer for your next get together. We will be offering this spicy twist in a sausage log as well. We’ve taken some of our best products and made them even better! Our #1 selling cookie dough, slam dunk chocolate chunk, just got bigger…literally! We’re adding 2 – 8” Chocolate Chip Cookies with Icing to decorate. This interactive treat is perfect for Birthday parties or celebrations! Take your pizza night to the next level. Proven products make a winning pair with our Pepperoni Pizza with Cheesy Garlic Bread. 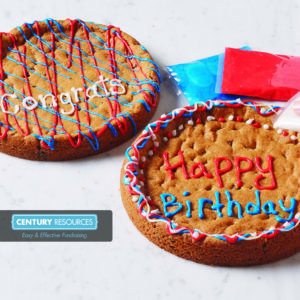 Century Resources is committed to providing your students with a variety of products that their friends and family are excited to order in support of their group. With a wide variety of delicious savory treats and gourmet sweets, we have something for everyone. 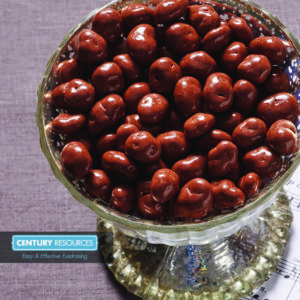 Check out more of our products and brochure selections HERE!